Head toward the shores of Lake Superior in Michigan’s Upper Peninsula, and you’ll find the Porcupine Mountains Wilderness State Park, a 60,000-acre swath of wild waterfalls, majestic woods and boundless recreation. The Porcupine Mountains Wilderness State Park is the largest state park in Michigan and is a popular destination for hiking, biking, fishing, cross-country skiing, snowshoeing, and more. Don’t forget your camera, either: The park is home to abundant wildlife and photo-worthy destinations like Lake of the Clouds and numerous waterfalls. Seasonal roads are closed from December 1 through late spring each year. 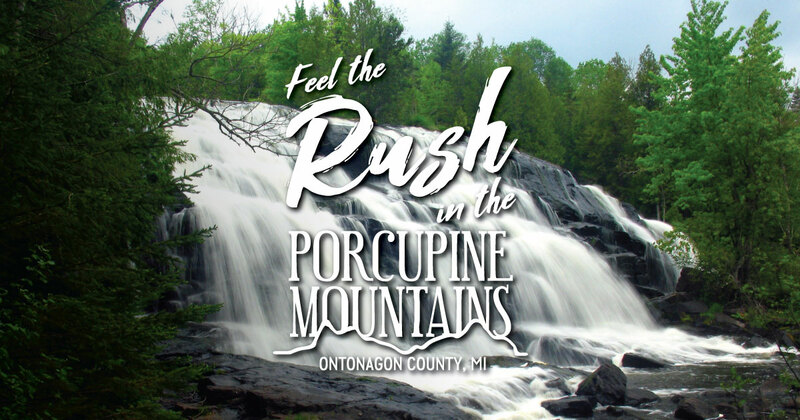 For more information about trails, programs and camping, visit the Porcupine Mountains Wilderness State Park online. The Friends of the Porkies is a nonprofit organization dedicated to enhancing the park for all users. The group holds numerous educational classes at their Folk School, hosts an artist-in-residence annually and organizes events like the Porcupine Mountains Music Festival. Other nearby natural areas in the area include the Ottawa National Forest, which covers nearly 1 million acres of Michigan’s wild and scenic Upper Peninsula. The forest is home to popular outdoor recreation areas like the Black River Harbor Recreation Area (north of Bessemer) and the Sylvania Wilderness Area (southwest of Watersmeet).